Hernan is Senior Vice President, Integration, The Walt Disney Company EMEA. 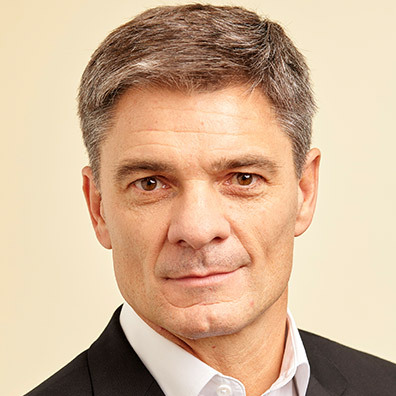 Previously, he was the Senior Vice President of Corporate Strategy and Business Development for The Walt Disney Company EMEA, where he was responsible for strategy, business planning and business development across the region. Hernán has more than 20 years of Disney experience, most recently serving as Chief Marketing Officer and SVP of Corporate Strategy and Business Development in Latin America. In this role, Hernán led the Marketing Department, which includes regional and local Marketing teams, plus Corporate Communications, Research, Media, Creative, Corporate Citizenship, and Brand Management. In parallel he led the Corporate Strategy and Business Development area since 2005. In this capacity, he took an active role in the design of the organizational structure currently in place across WDI, and led a series of asset acquisitions, business vertical integrations, and the launch of new businesses across the region. Joining the Company in 1994, Hernán worked in the Disney Consumer Products regional office in Miami, with the responsibility of developing the licensed merchandise business in Central America and the Caribbean. In 1997 he moved to the position of Regional Marketing Director for Latin America and in 2000 he relocated to Buenos Aires to join the team that initiated integrated operations for WDI. Prior to joining The Walt Disney Company, Hernan was Regional Account Director with J. Walter Thompson Latin America, based in Buenos Aires and Sao Paulo. Born in Buenos Aires, Argentina, Hernán holds a BA in Media and Advertising from the Universidad Del Salvador (Argentina) and an MBA with a Major in Finance & International Business from the University Of Miami (USA).